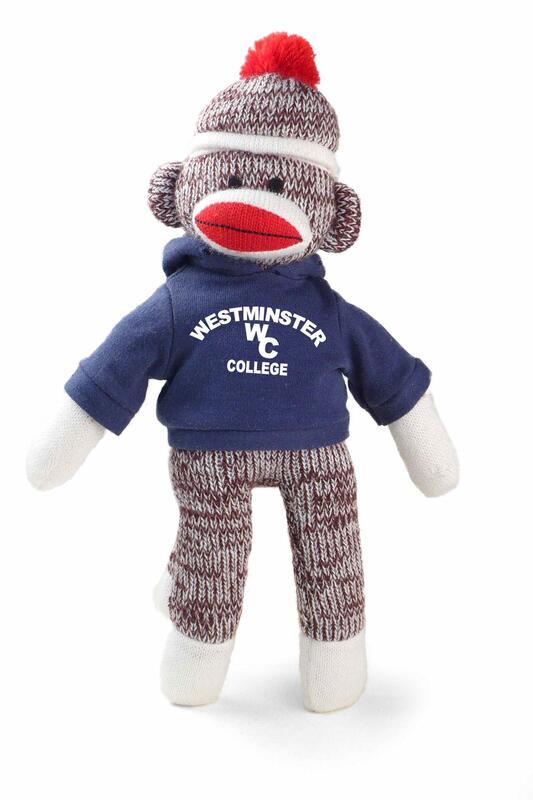 Classic 8-inch tall sock monkey, proudly dressed in Westminster College colors. 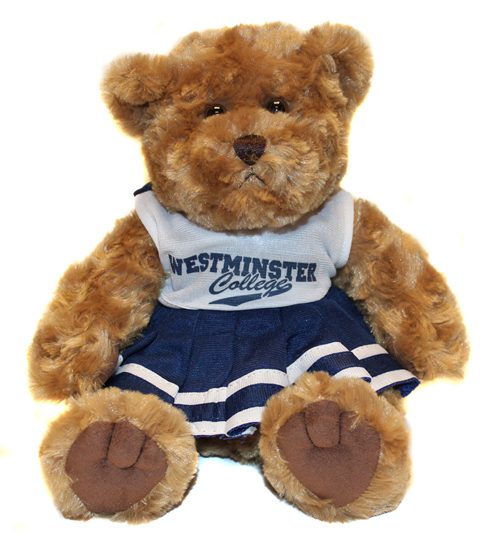 Cheerleader plush bear wears a Westminster cheerleader uniform. 10 inches tall standing--8 inches sitting. 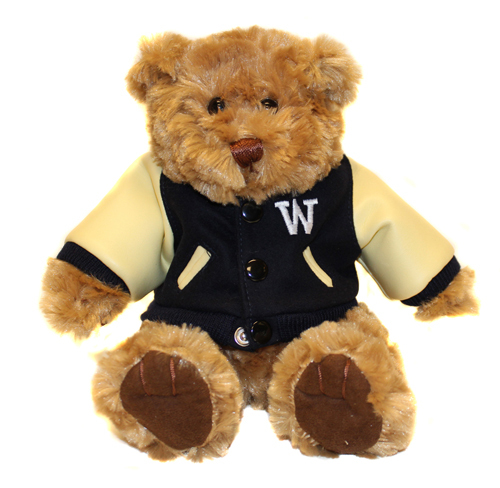 Varsity plush bear wears a Westminster letter-man's jacket. 10 inches tall standing--8 inches sitting. 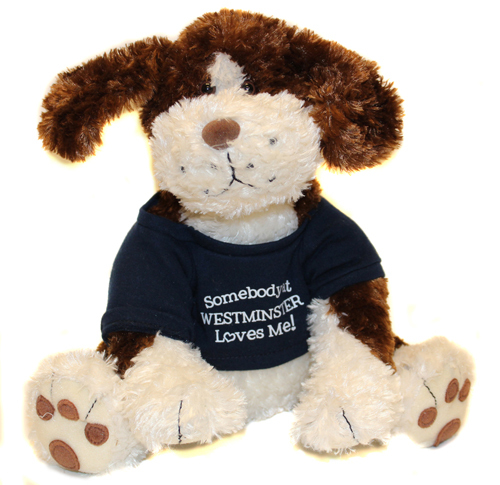 Benjamin is wearing his "Somebody at Westminster Loves Me" tee. Benjamin is 12 inches tall standing, and 9 inches tall sitting. 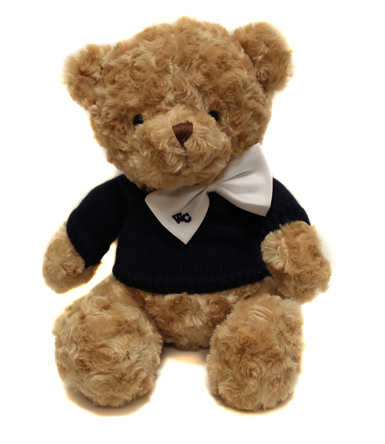 Elliott the bear wears a navy knit sweater with a white bow tie embroidered with WC. !0" tall seated. Available in toffee brown. Please select option for Elliott-Plush Bear with Bow Tie. 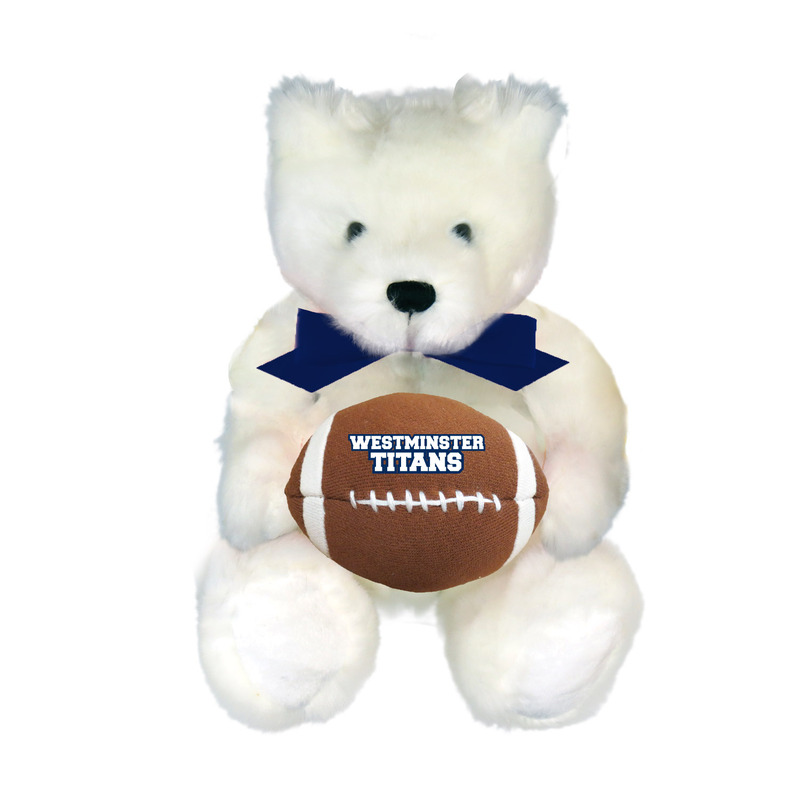 Mascot Factory Football Bear is a velvety, mink plush bear sporting a navy bow and holding a soft knit football. 8" tall sitting white plush bear.